Take a look around your office. What systems do you see? The average employee most likely has a phone, laptop, desktop, and access to video conferencing rooms, keyless entry systems, wireless printers, and more. There’s a lot of high-tech communication that keeps the average office running. But imagine what an office looked like 50 years ago. The year is 1969. Computers didn’t enter the workplace until the mid-1970s. Office communication was done face to face or via messengers. In short, office communication looked nothing like the modern office just 50 short years ago. What will the office look like in the next 50? Here’s our best guess. Communication platforms are slowly becoming more and more integrated. In the next 50 years, we’ll only need one platform to communicate throughout the entire office. Currently, most offices use email, slack, social media, and other disparate platforms to communicate on clients, jobs, and tasks. But with the rise of VoIP systems, these disparate platforms will slowly merge into one unified communication center. For example, Elevate Unified Communications brings together phone systems, mobile networks, desktops, video conferencing, screen sharing, remote office work and more in one seamlessly integrated system. As a phone system installer, we’ve slowly seen the evolution of the phone over the past few decades. It’s changed from the days of a phone operator to taking calls directly through your computer. Soon all communication systems will be integrated to the greater convenience, reliability, and cost-savings of business owners. How many times have you or one of your coworkers worked from home? In this day and age, it’s not hard. With video conferencing and digital communication on the rise, there’s often not a true need for employees to work in the same room. That being said, onsite work does have its benefits. Work from home employees tend to be lonelier and find it easier to be distracted. However, as remote communications continue to evolve, working from home will become easier and easier. New integrated communication systems like VoIP and video conferencing will make it easier to communicate with those on site. Who knows? Technology like virtual reality may even bring remote workers “into the office” from the comfort of their couch. Already, keeping remote workers on task has gotten easier with products like Avaya Chronicall. With a recording library and standard reports, tracking time spent on the phone is easier than ever. The recording library allows supervisors to stay on top of things like call time, call quality, and the number of calls sent and received more easily. As upcoming generations want more flexibility in the workplace, remote working solutions will operate at a premium. Companies who are able to accommodate flexible schedules will attract better talent and operate more efficiently. According to new studies, 77% of Millennial believe that flexible working hours would allow them to work more productively. A flexible work schedule would allow for a better work-family balance which has become so important as women become more incorporated into the workforce. Is your office prepared for more remote workers? If not, it’s time to start looking into a phone system installer who can integrate video conferencing, VoIP solutions, and better digital communication. Office collaboration looks strikingly different now than it did in the 1960s. Instead of collaboration happening in face to face meetings or in phone calls, now it’s happening more and more via digital communication. Employees trade ideas via popular messaging platforms like slack or WhatsApp, allowing them to communicate on the go and outside of working hours. Whenever an idea pops into their head they can send it off without the restraint of setting up a meeting. Digital collaboration doesn’t just connect remote workers, it connects employees worldwide. In the future, less money will be spent on costly international flights that span the globe. Instead, a high-quality video conference saves money and time. As a matter of fact, combining the cost of flights, hotels, and time spent, video conferencing can save companies thousands of dollars. Now employees in China and Australia can connect on a regular basis, build a relationship, and communicate more effectively than they would if they just saw each other once or twice a year. Traveling the globe used to be just for supervisors and C-level executives. Now lower level employees can travel the globe too- or at least they can in spirit. 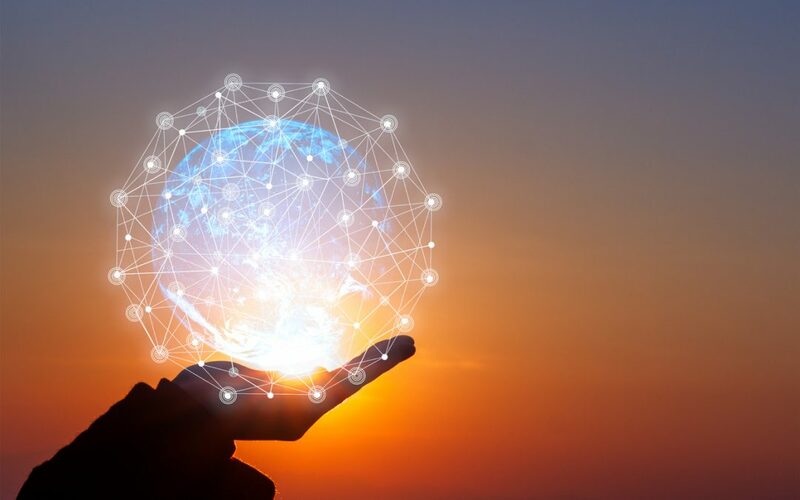 Connecting mid- to low-level employees across the globe via digital communication can increase collaboration throughout all the levels of an organization. This can increase the spread of ideas, company culture, and connection through large organizations. As digital communication continues to gain speed and traction, every company will have the opportunity to serve clients globally, no matter how small they are. The world will become a globally competitive stage for every organization, not just for large corporations. Globalization will have huge benefits on a worldwide stage. At this early stage, the globalization of business has reduced Western inflation rates, increased wages, and spurred new innovation. But all of this wouldn’t be possible with the technology of 50 years ago. Imagine what will be possible with the technology of 50 years from today. If your office wants to be ready to compete on a global scale, then you need to have the infrastructure to do so. Updating your video conferencing is a great first step. Medlin Communications isn’t just a phone system installer. We install video conferencing solutions as well. These solutions can provide your office with cutting-edge technology like HD video, immersive telepresence, and easy remote participation in teleconference meetings. The future will be here faster than you think. If you’re ready to upgrade your office for better compatibility and competitiveness in the digital office of the next 50 years, it’s time to upgrade your video and phone systems today. More than a phone system installer, Medlin Communications can provide you with the high-quality video conferencing and VoIP products you need to make office communication easier. Are you ready for custom solutions for your office? Read more about the products we offer here.